Beautiful two-story craftsman home inside Inspirada featuring 1,919 square feet with three bedrooms. 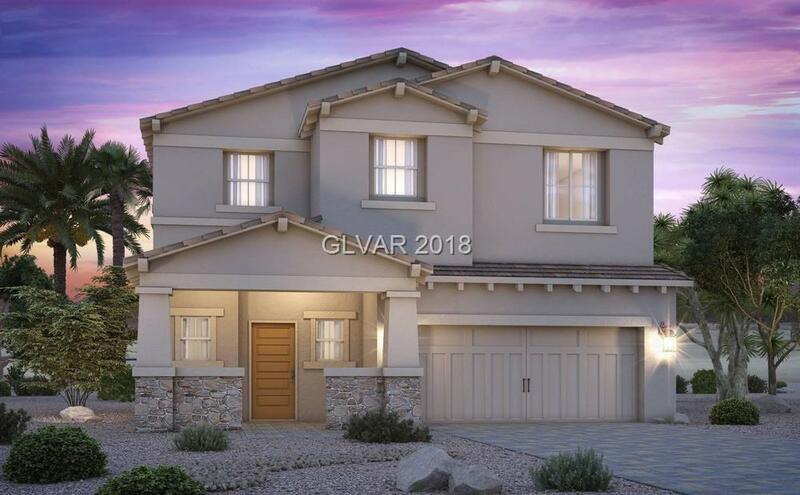 Home includes 60" linear fireplace, quartz countertops throughout, front-load washer and dryer, luxury shower at owner's suite, and an extended covered patio. The gourmet kitchen features 42" white cabinets with glass front, stainless steel appliances, and undermount sink. Upgraded flooring throughout. Furniture included and fully-landscaped.